Large evergreen plant found in tropical forests in South and southeast Asia. Attractive large heavily veined arrow shaped leaves. Excellent for house or conservatory. Keep in good light above 10c. 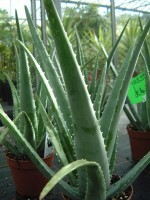 succulent with astounding skin soothing properties. No kitchen should be with out one for treating, burns, bites etc. Keep above 8c. Very tolerant of neglect. to treat skin, slice of a section and rub on. Easy to care for,very rewarding house plant. 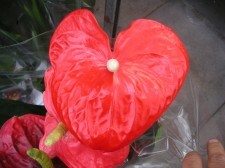 Their unmistakable glossy heart-shaped flower long lasting bract surrounds the true flowers, which are in the form of a spike (or spathe) at the centre. These are among the most handsome begonias, grown for their beautifully coloured leaves rather than their flowers. 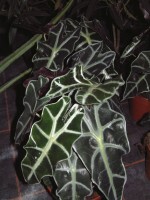 The heart-shaped leaves, can be up to 30cm in length, with striking patterns in variations of red, black, silver and green with a rippled or pimpled surface. Bright but not sunny location. 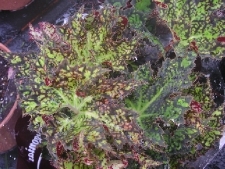 Place these bold beauties in pots, baskets and beds Exotic Dragon Wing Begonias boast loose clusters of Red or Pink bell-like blooms. Glossy, dark green, wing-shaped leaves frame the flowers. 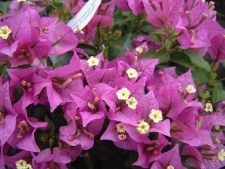 These large, bold plants tolerate heat and thrive in partial to full shade or filtered sun. Dragon Wing is easy to grow and virtually carefree – just plant and stand back! 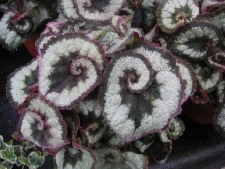 These are among the most handsome begonias, grown for their beautifully spiral leaves with striking patterns in variations of red, black, silver and green with a rippled or pimpled surface. Exotic colourful leaf bracts surrounding small white flowers for most of the summer and autumn. Evergreen if kept above 10c, deciduous at 4c. does best in high light, & does not mind dry air.keep above 4c. ideal for conservatory, or summer patio. Brugmansia ( Datura). 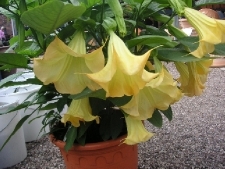 Quick growing shrub with 20cm long 'Angels Trumpet' flowers, which release an exquisite perfume in the evenings during the summer. Keep above 4c, in good light. water and feed generously. Fabulous summer patio plant. A magnificent, majestic tropical plant, with long pink sprays of flowers shaped like bunches of grapes which are set in pink bracts. The flowers are shaded by a canopy of arching leaves. The stem of the plant is woody and has many branches. Keep in a bright, warm position with no direct sunlight. over 15c. requires high humidity It is ideal for a conservatory where it should grow nicely if correctly cared for.